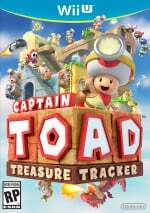 The latest Nintendo Direct has revealed that Captain Toad: Treasure Tracker will now launch across Europe on 2nd January 2015. The release date previously listed for this region was the 9th, so this will no doubt come as welcome news for Wii U owners located in PAL regions who were eager to get stuck into what appears to be one big adventure. The US release remains on target for 5th December. Alongside this update, Nintendo also revealed a new trailer showcasing 70 levels, and promising even more to explore along the way; these stages will include unique challenges, which unlock additional levels when completed. Finally, it was emphasized that Wii U owners in North America who are interested in this title prior to release can preorder the game from a PC or smart phone device on the region's official website, and begin downloading the title automatically to their Wii U console — details can be found at www.nintendo.com/eshop/buy-digital. 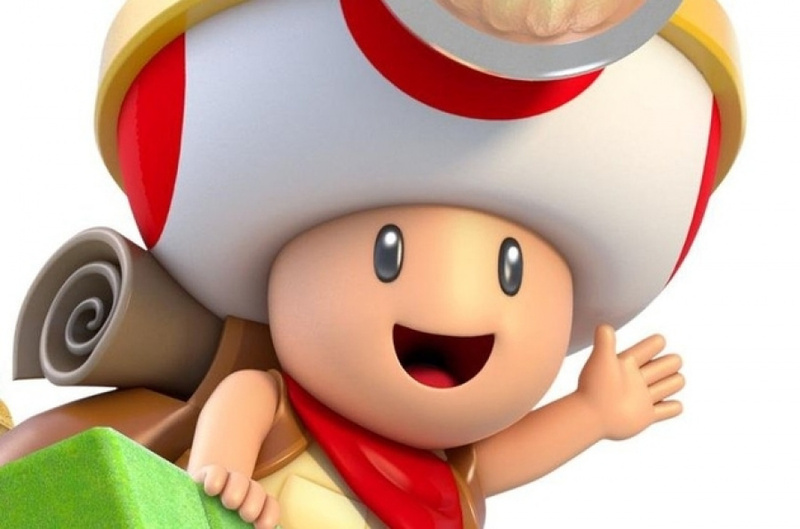 Based on this latest information, and the new trailer below, just how excited are you for the release of Captain Toad: Treasure Tracker on the Wii U? Let us know in the comments! I'm passing on this one, to many games and not enough time. @Ryno You can get it later. Almost seems senseless they can move it up a week but still miss Christmas. Somebody think of the children. Just as it seemed pointless in the vid to show it just before the amiibo segment when this game is one of the first they announced that support amiibo. Game still looks great though. Bit of a tease to show Toadette and still have it a 1 player game but they made Kirby multi so I'll take what I can get. That book looks just like 1 of the first Spyro games (maybe the 2nd) so that brought back some nice memories and will certainly add to replay value. And heck, the game is only $40, and Dec 5 means it's sure to be part of some type of deal. Can't complain about any of this really. I'm sold. Oh, and it's cute, Id much rather give my kids a game like this for Christmas than COD or even Hyrule Warriros, which is great, but not very merry and bright for the holiday spirit. Honestly, this was my reveal of E3 and the highlight of my Christmas schedule - more so than Smash WiiU! - I can't wait. It just looks so wonderful. Had a hunch that when they brought Smash release forward, Capt Toad would follow. Now it'll actually feel like a Xmas time release. Called it. I wished for a December release though. Im kinda digging this game more and more lately. Nice! Both this and Smash Bros. on Wii U got pushed forward a week in Europe! I was hoping for a late-December release. Nintendo, let us pre-order it on the eShop though before the Digital Deluxe Promo ends on the 31st. This isn't my type of game but after my Hyrule Warriors experience, i'll make a point of playing the demo in store to see how I like it. I went to Best Buy to play the HR demo and I really enjoyed it. I bought the game a week later when it came out. Best Buy is getting this demo and I want to try it out. I may like it. Shame it couldnt have been a week earlier could have played it over christmas then and also a key time for kids spending their christmas money. I think the timing for this one is all wrong. I can't believe that they are making it available AFTER the winter holiday season. It doesn't make the slightest sense. Still not really any benefit to me as I wanted this game to play over the Xmas holiday period. A week earlier or ten weeks later makes no difference. Would have bn gobbled up as a christmas present for families in the uk. Crazy not to push the date early or mid december. NoUK for you eh. You say Day 1? I say Minute 1! But that trailer makes me wonder if we can choose the playable character or not. I skipped watching this part of the direct, if it showed off parts of every level I don't want to know. What happened to being surprised by what happens next in a game? It looks fab; totally hyped for this puzzle-platformer. Hooray, this game will be out sooner... leaving less time for my wallet to recuperate from Christmas. I'm really looking forward to this game, and I really want to get this game day one, but with it being released so soon after Christmas, I'm worried as to whether I'll even have the funds left over to get it day one. Well, let's hope so, the game looks fantastic. Hmm, another title that arrives one week earlier in Europe. That's good news, though 2 Januari is a strange (and tricky date) to get it. I mean, so short after New years day. I probably get it a bit later.